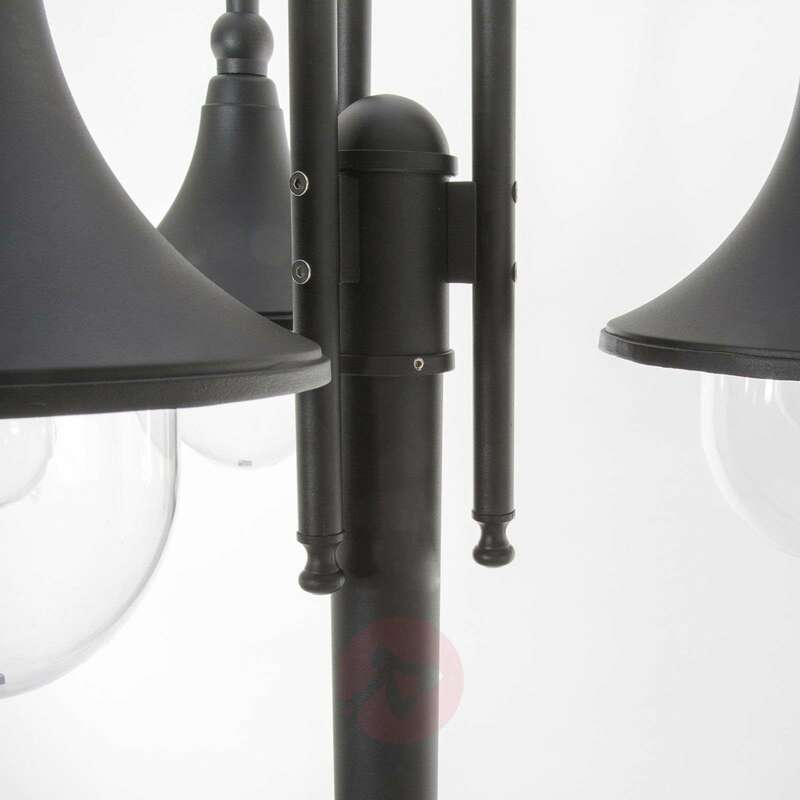 The post light's body is made of black-painted metal, from which two arms run to the lamp heads. 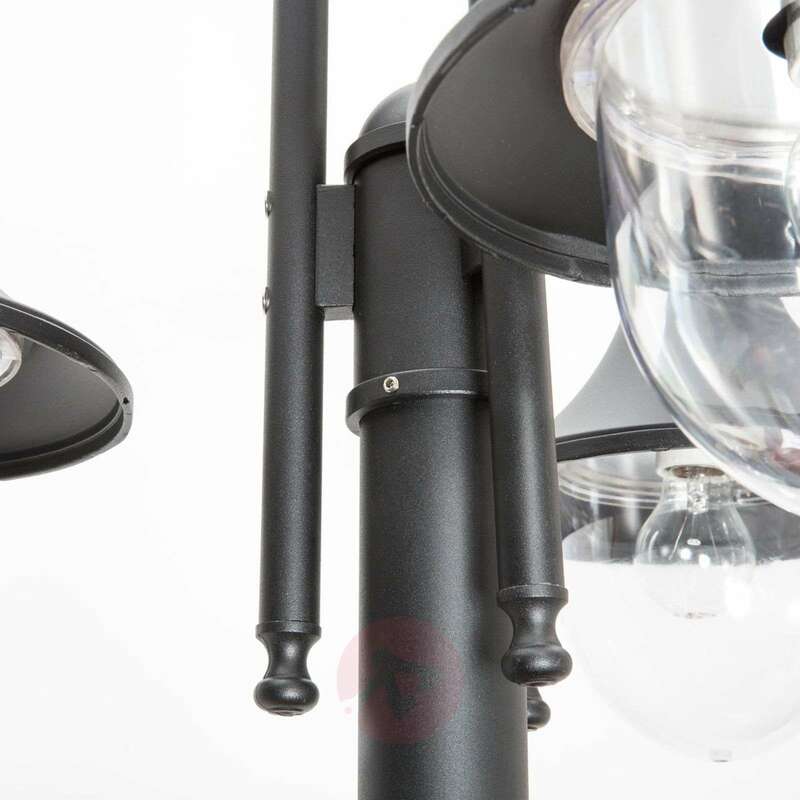 The metal lampshades expand in a bell-shaped manner, which definitely looks a bit nostalgic. 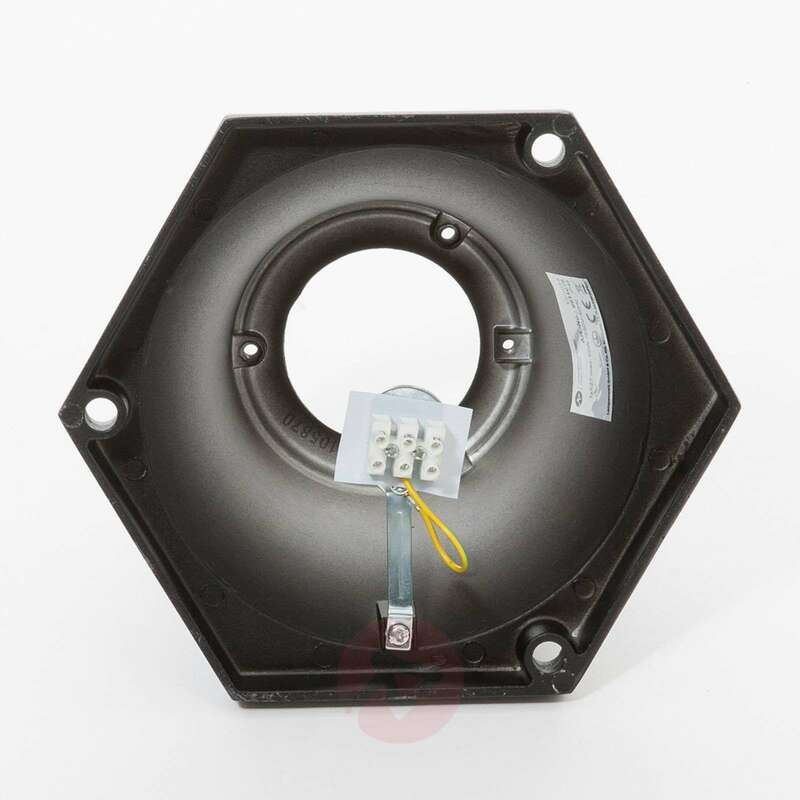 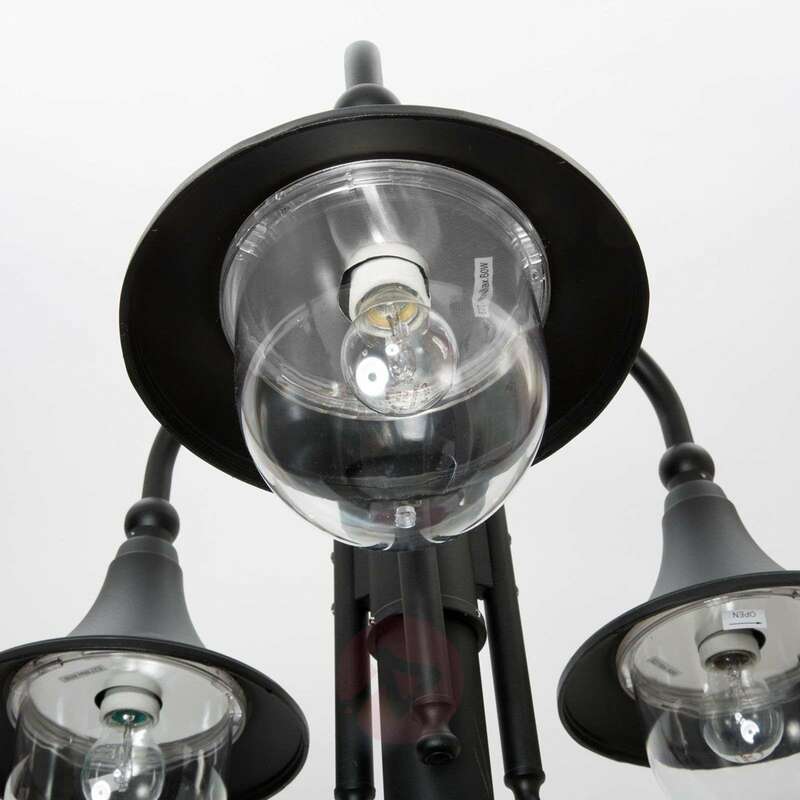 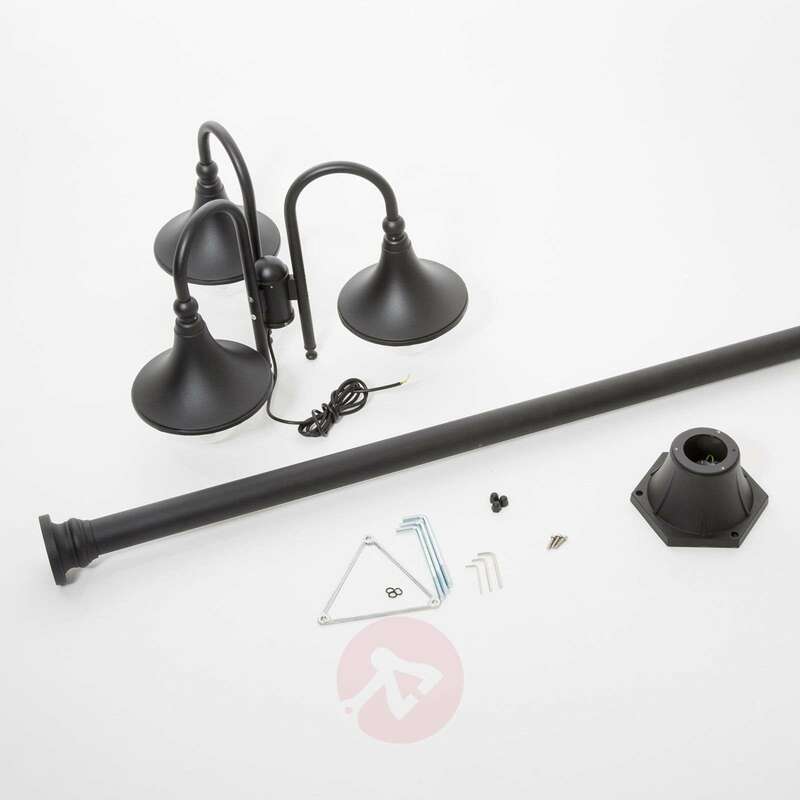 Dome-shaped, polycarbonate diffusers are installed on the bottom, which protect the light bulb and are comparably robust and shatterproof. Energy-saving bulbs or LEDs can also be used as the E27 socket expands the range of available light bulb types. 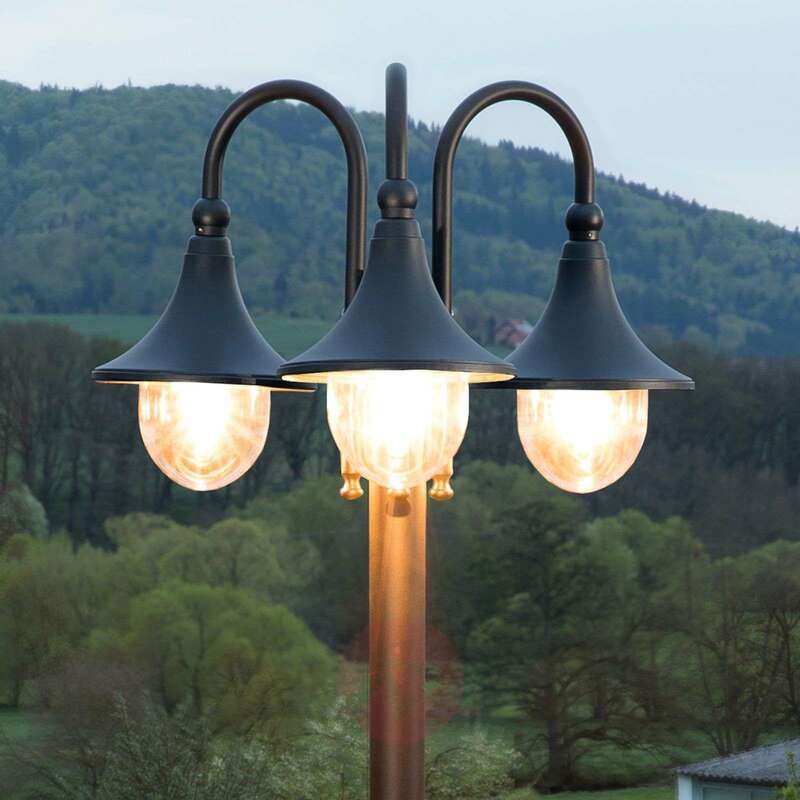 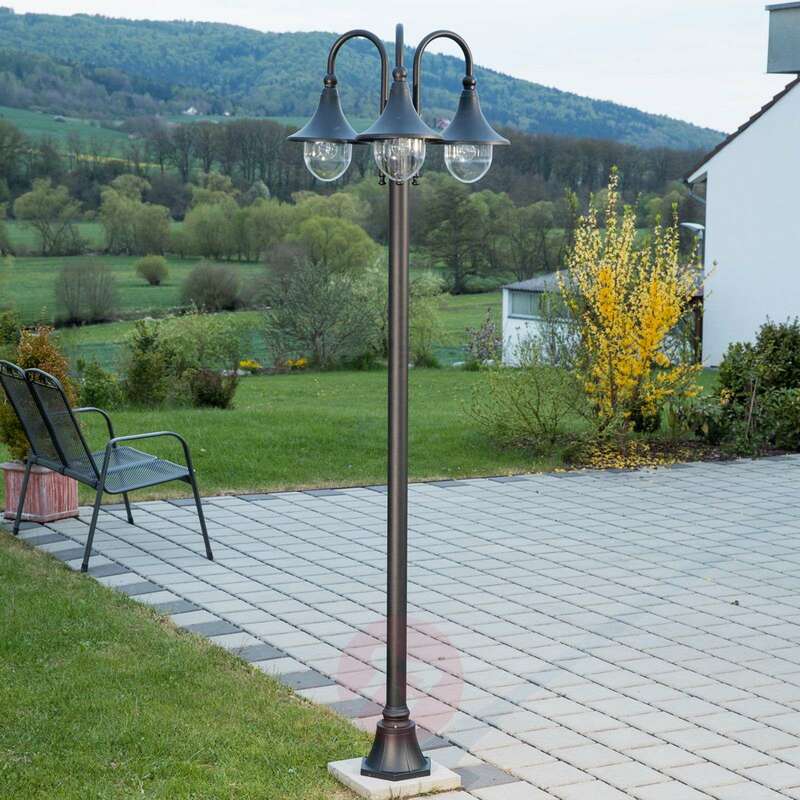 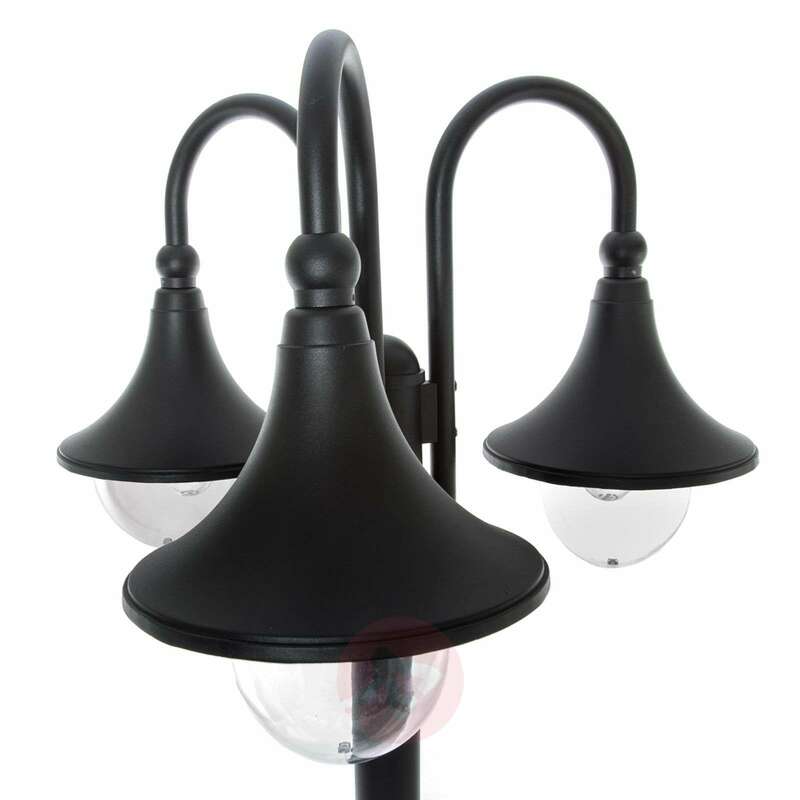 The post light decorates gardens and parks with its stylish design.